Have you ever paid stupid tax while shopping? You usually pay these taxes because of emotional decisions based on the Christmas season. But thankfully, the financial expert, Dave Ramsey, is here to help. These tips will definitely make a difference for you this year. So check out these 10 Dave Ramsey Christmas tips and let me know what you think! Sometimes we get confused between what you have to do and what would be nice to do. So, before taking on all the stress of party and shopping plans, set your priorities first. Sometimes it’s best to say no to things so you can have a plan and stick to it. This one seems easy, but actually, it’s tough. Before you go to the mall to buy gifts, you have to prepare your budget. Next, hit the mall and purchase everything according to your budget. Additionally, you have to promise yourself that you won’t add $30 more just because you saw something cute for your niece. If your budget is finished, it’s time to break up with your favorite credit card. It’s tough! But keep in mind that you’ll save more when you cut the plastic. Keep on thinking about what you would prefer; a stress-free holiday with your family or excessive payments on your credit cards looming over your head. Who is in Your Preference List? Ask yourself this question. Do you really have to buy gifts for every friend and family member? It’ll become costly very quickly. Instead of that, you can simply talk to them to reach an agreement. Gift those you are closest to you and you can save the rest. Sometimes we think that expensive gifts are needed to impress everyone. But have you really listened to your near and dear ones? Maybe they gave you some hints earlier on in the year for presents that aren’t that expensive. Don’t buy them things they don’t really want because it has a high price tag. You have to stay focused so you can choose the right gift for the right person. For example, if you don’t want to distract yourself by selecting a shiny toy or a beautiful dress just list down the names and their preferred gifts. Keep in mind that you have to stick to this particular list. Whenever we think about money saving while shopping, a picture comes into our minds. We’re running from one store to the other just to save $20. If you don’t want to face the same situation again, you have to do some research. Check different sites and their prices for a particular product. It’ll be much easier for you to save money. Don’t shop at the 11th hour. The prices of the products will be increased. Start shopping early. It’ll save both your time and money. If any outrageous sale is going on and if you are getting amazing discounts, you can buy something that you may need just 2 to 3 months before Christmas. That time the price will be increased. So, it’s better if you can save now. Use coupons to save even more. Remember Christmas is not just about shopping and gifts. The main theme of the day is to celebrate Jesus’ birth. 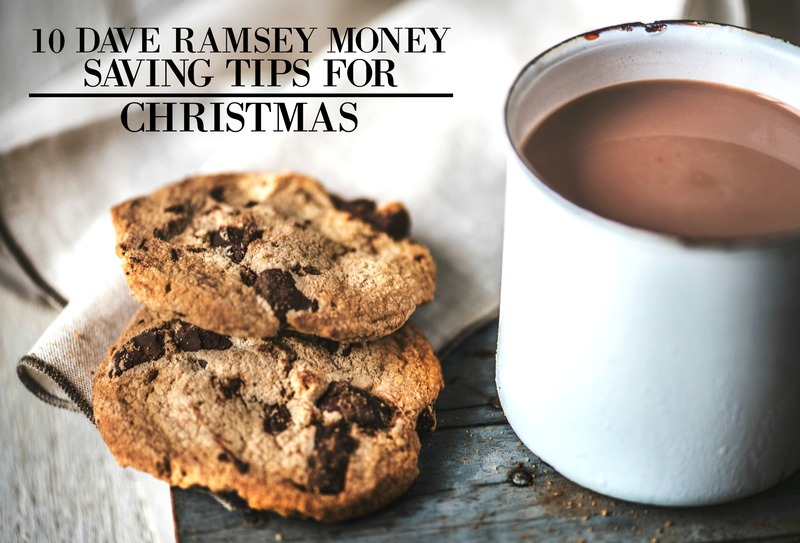 So if you are about to start your Christmas shopping, just try to follow these simple yet powerful Dave Ramsey tips to save your hard-earned money.